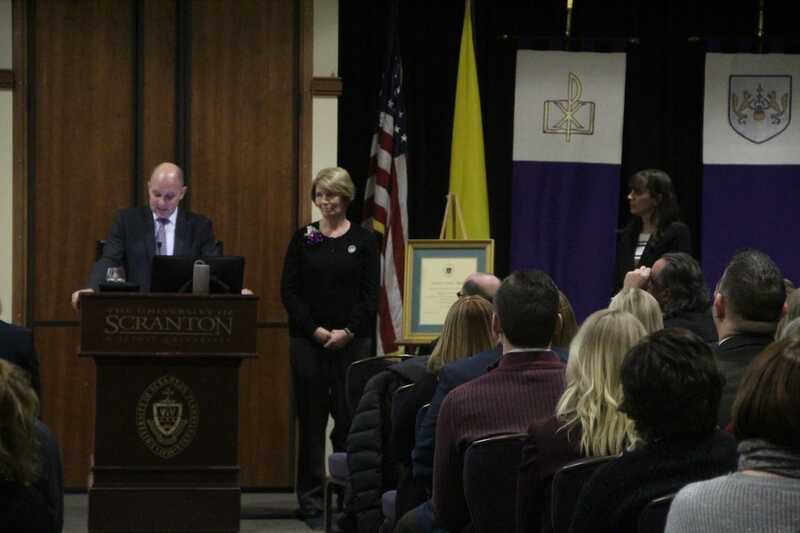 The University of Scranton presented Sursum Corda (Lift Up Your Hearts) Awards to four staff members at a convocation held on campus this month. 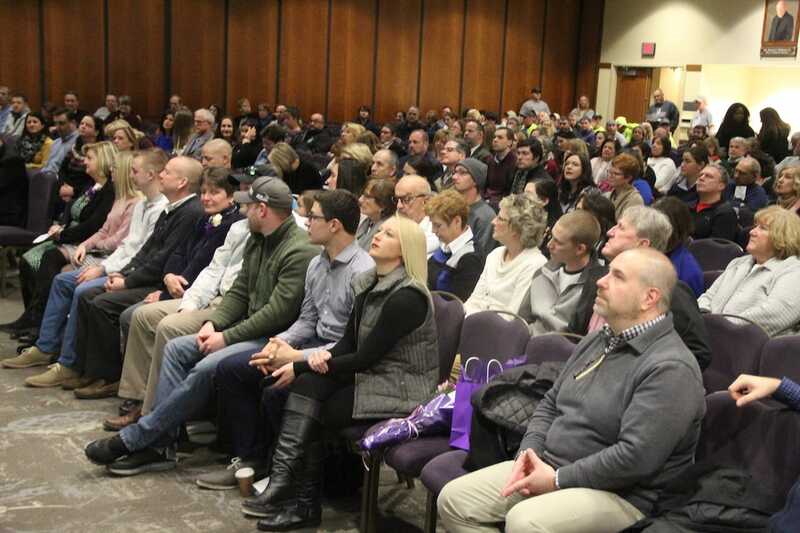 The award recognizes members of the University’s professional/paraprofessional staff, clerical/technical staff and maintenance/public safety staff who have made outstanding contributions to the life and mission of the University. Pictured, from left, are: Jeffrey Gingerich, Ph.D., senior provost and vice president of academic affairs; Rev. 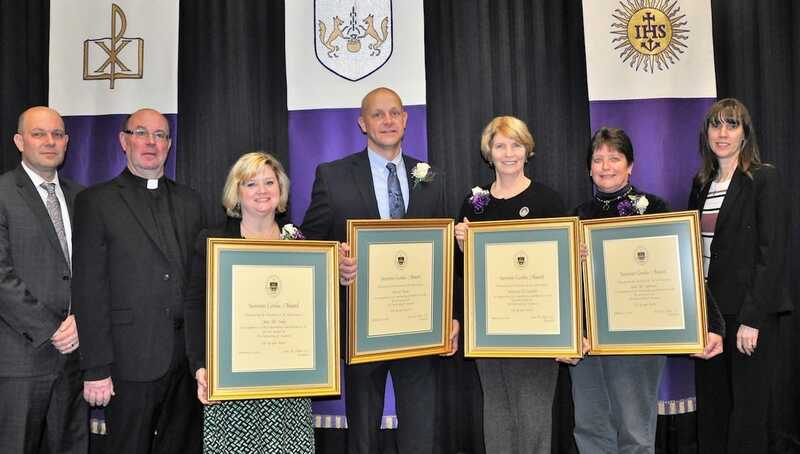 Scott R. Pilarz, S.J., president; Sursum Corda Award recipients Tara Seely, Kevin Rude, Maureen Castaldi and Jane Johnson; and Patricia Tetreault, vice president for human resources. University of Scranton President Rev. Scott R. Pilarz, S.J. 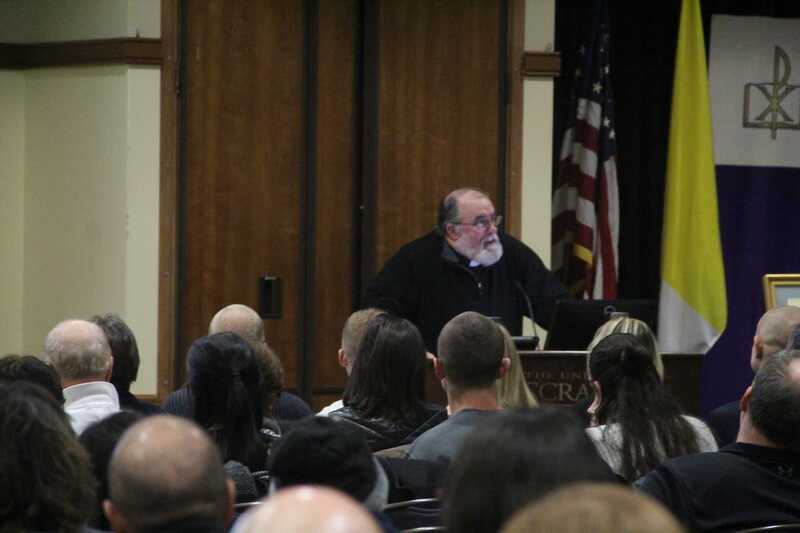 encouraged faculty and staff to be “attentive to the grace and goodness that surrounds us” in his State of the University address at the Spring Convocation, which took place in the McIlhenny Ballroom of the DeNaples Center on Jan. 31. 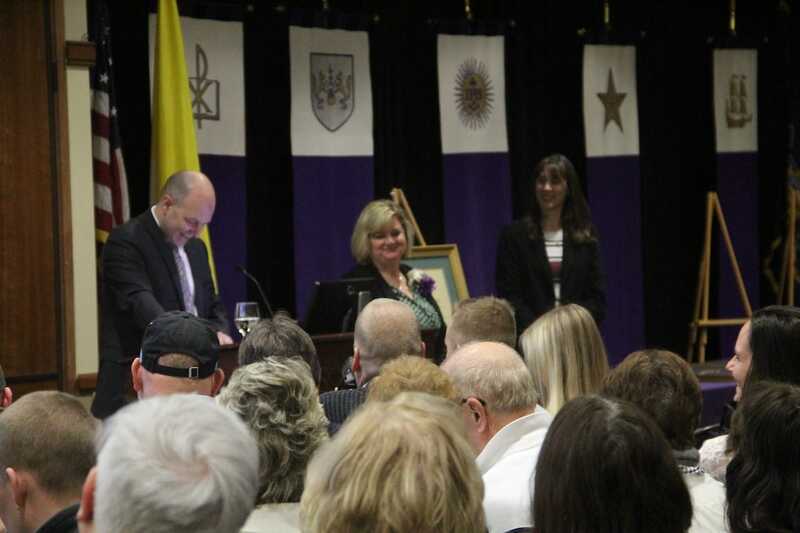 Also at the convocation, Sursum Corda Awards were presented to staff members. 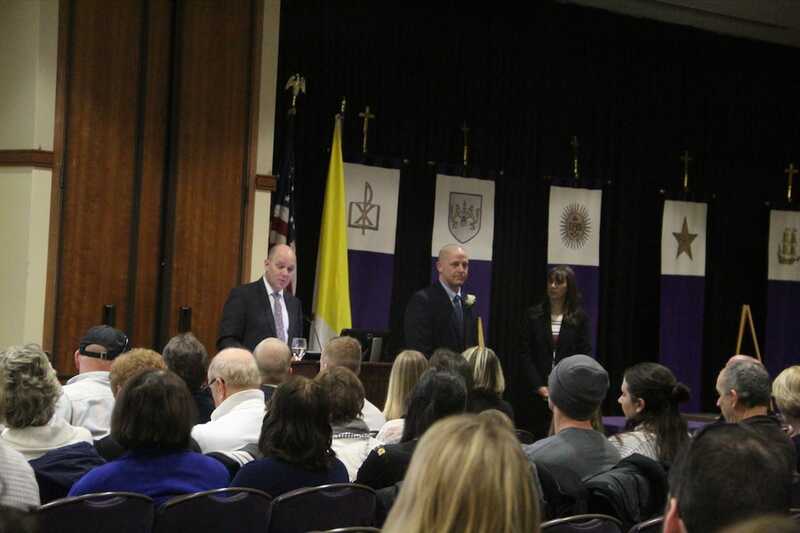 In addition, new staff members who joined the University between Feb. 1, 2018, and Jan. 31, 2019, were recognized. Sursum Corda (Lift Up Your Hearts) Awards recognize members of the University’s professional/paraprofessional staff, clerical/technical staff and maintenance/public safety staff who have made outstanding contributions to the life and mission of the University. This year’s recipients were: Maureen Castaldi, manager of database management services; Jane Johnson, associate director of intramurals and recreational sports; Kevin Rude, University Police investigator; and Tara Seely, administrative assistant to the Board of Trustees. “The pace of our lives in general, and especially here at the University, can sometimes preclude us from appreciating the many ways in which we are so blessed with incomparable colleagues and the work we are blessed to do together. Of course, we celebrate four such colleagues today – our Sursum Corda Award winners” said Father Pilarz. In his address, Father Pilarz also said the University is blessed with a “Spirit of Innovation” on campus that will serve us well as we look toward our future. 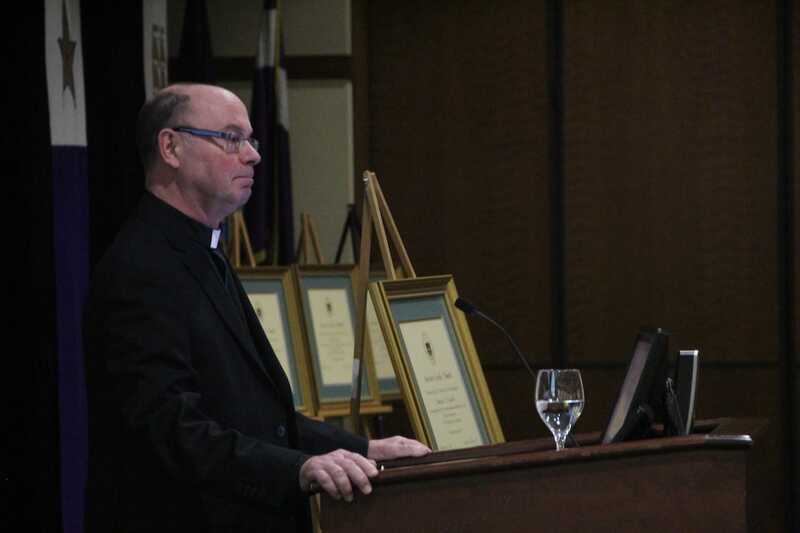 “We do not have the luxury of resting on our endowment, but must instead do the hard work of providing a truly exceptional education within limited means,” said Father Pilarz. At the University’s Spring Convocation, Rev. 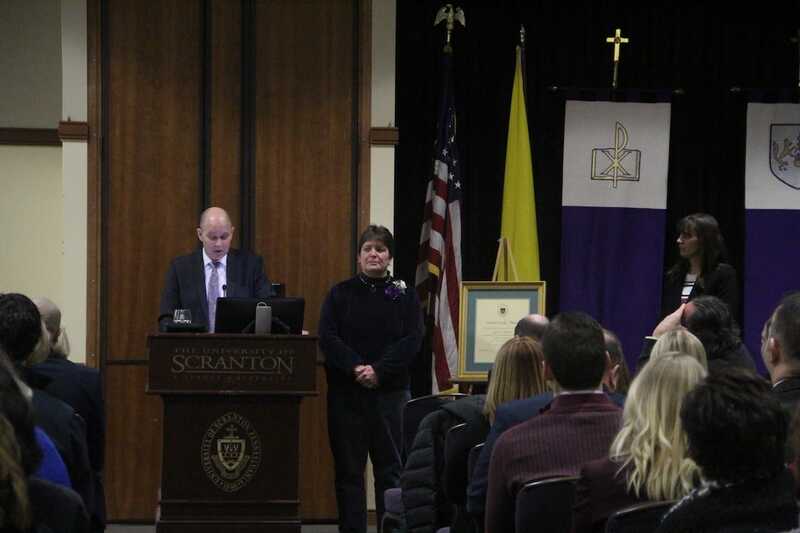 Scott R Pilarz, S.J., president, delivered the State of the University address and four staff members were presented with Sursum Corda Awards. New staff members who joined the University between Feb. 1, 2018 and Jan. 31, 2019, were also recognized at the event.